My mum has been consciously buying her snacks and feeding me conveniently too. I like how most of the Japanese snacks are individually packaged! Totally controls the greedy people like me from over eating as well as saves so mich trouble transferring into another container! So whats this snack that has kept our tummies craving for it over and over again? 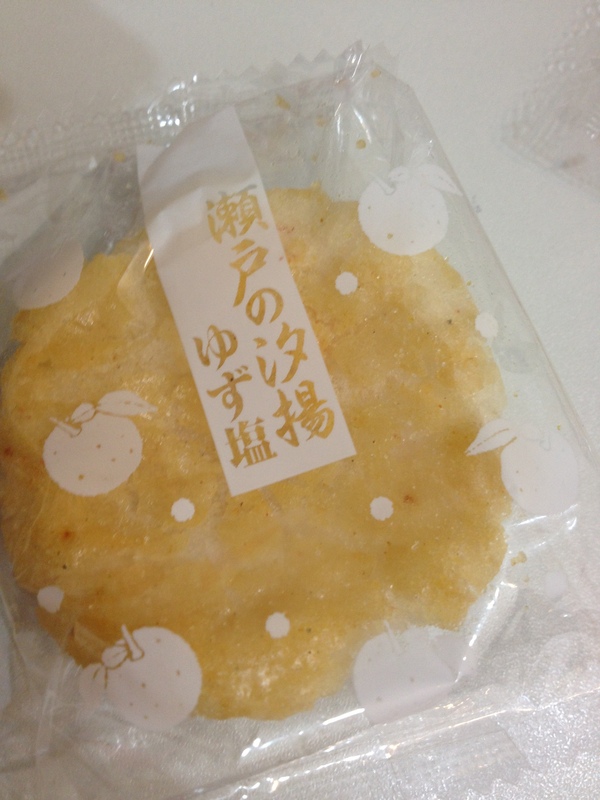 It is actually a yuzu flavored rice cracker biscuit! Yuzu is a citrus fruit, if i had to deescribe the taste, i would say its a combination of orange and lemon 🙂 Its a little too saltish for my liking but a very addictive snack! You can just keep on eating them! 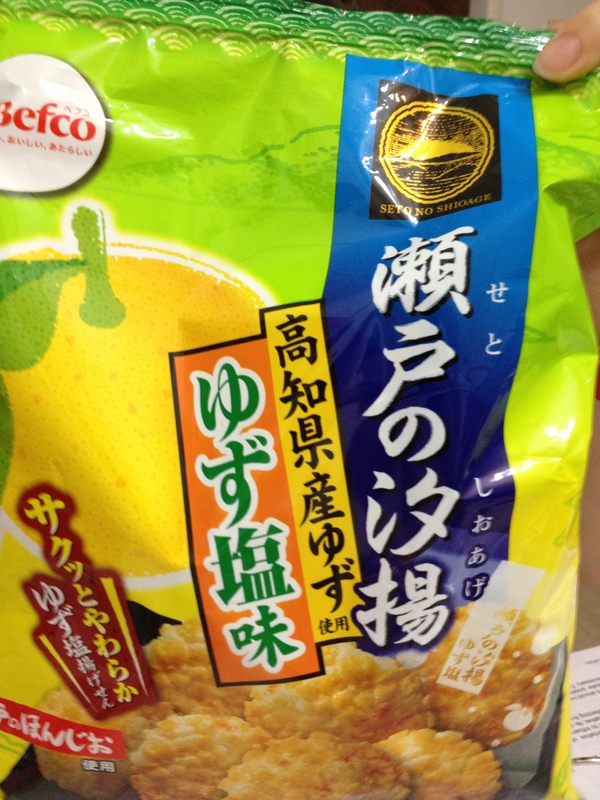 Standard • Posted on 14/05/2012 by ahballing	• This entry was posted in @Singapore, Japanese, snack attack and tagged @Singapore, Isetan, snack attack. Bookmark the permalink.